Christian Pondella ist einer der besten Abenteuer-Sports-Fotografen weltweit. Ein hervorragender Kletterer, Eiskletterer, Alpinist und Skifahrer und stets ein wichtiger und aktiver Teil des ganzen Teams, egal welche Abenteuer er als Fotograf begleitet. Neuschnee mit seinem Sohn Blaise. 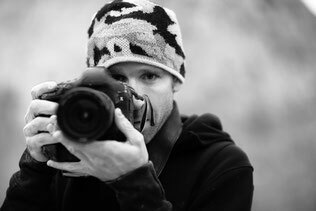 Christian Pondella is one of the top adventure sports photographers in the world. He is an accomplished ice climber, rock climber, ski mountaineer and extreme athlete in his own right, he is always a fundamental part of the team on whatever adventure he‘s shooting. Not only does he have an eye for the shot, he can actually put himself where he needs to be to get it. When he‘s not shooting stunning images inremote mountain ranges and no-fall zones, you‘ll find him at home with his wife Julie and shredding fresh powder with his son, Blaise.